To reach the engine under the cab for maintenance work on utility vehicles, the driver's cab is tilted forwards. 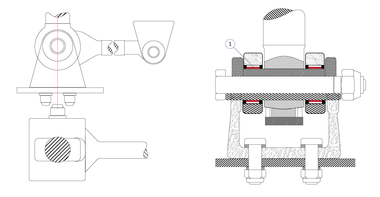 The pivoted joint on the driver's cab is fitted with two plain bearings for the swivel movement. The pivoted joint must always work smoothly, even if it is not used frequently. The pivoted joint is constantly subjected to shocks and vibrations during travel. This means that there is a risk of tribocorrosion on the plain bearings. KS PERMAGLIDE® P20 plain bearing bushes were installed in the application. 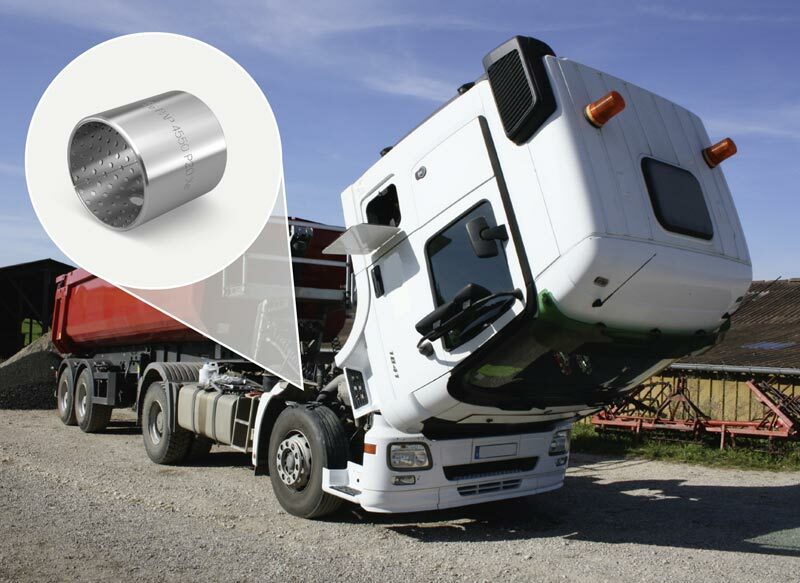 Using the KS PERMAGLIDE® plain bearing bushes means that no tribocorrosion occurs. A plain bearing is positioned on each side of the swivel axis. The plain bearing bushes were pressed into a needle bush for easy mounting. The plain bearings were lubricated prior to installation. The lubrication is suicient for the entire service life. The sliding speed and temperature are negligible in this application.